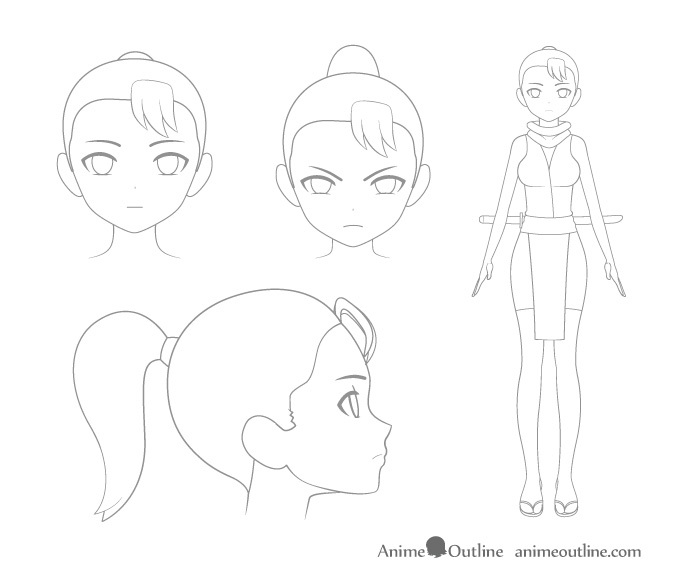 If you are looking to create your own manga or perhaps even your own animation you will probably have to draw and design at least one protagonist. Even if you feel quite comfortable with your drawing ability properly designing a character that you will draw over and over can be challenging. 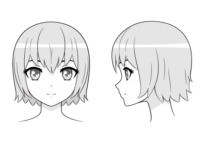 The following tutorial offers some tips on the most important steps of making your own manga or anime character. 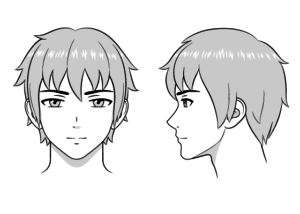 Designing a character for an anime or a manga is quite different than doing a one time sketch. In a one time drawing you only have to worry about what your subject will look like from that one view for that one drawing. 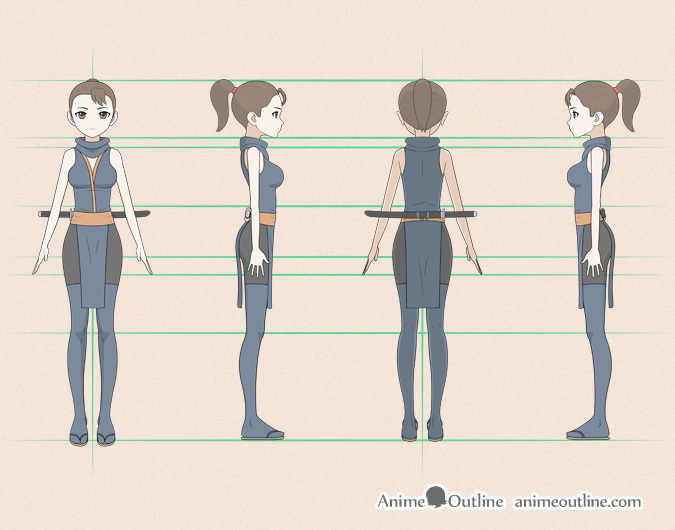 In a manga or an animation a character will likely have to be drawn many times from multiple views/angles. 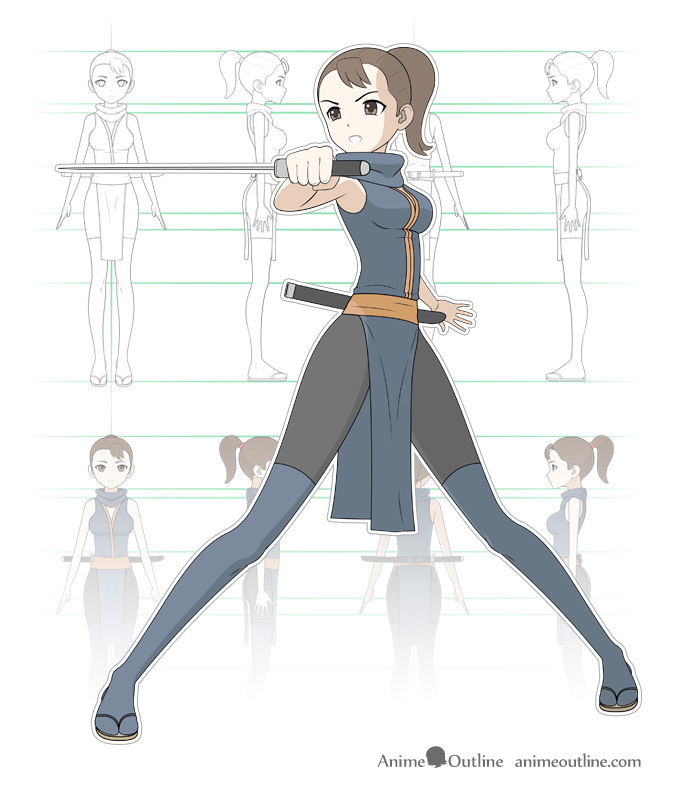 A character for a manga or an animation should have a reasonably simple design (it can become too time consuming to draw a complex character multiple times). 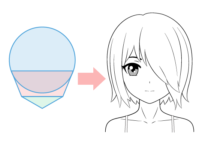 You need to consider how a manga or anime character will look from all views/angles (you will likely have to draw them from multiple views multiple times). 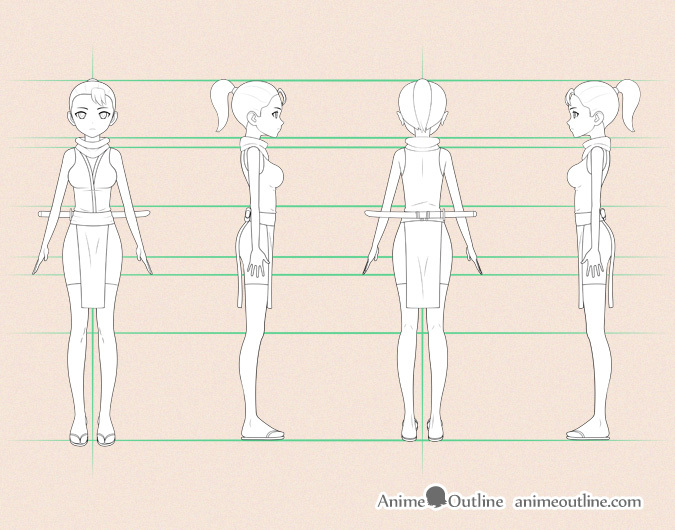 Decide on what your character will be and pick the bare minimum details you will need to convey that to the viewer of your manga or animation. For example what clothing or accessories do they need to best show who they are? 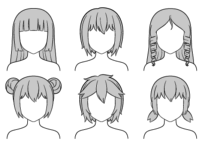 If you want to design a human or at least humanoid you should write down some basic information about your character such as their age, occupation, personality, etc… Their design can then be based on these factors. Draw some rough sketches of your ideas. These can be from any view and in any pose that you like. Draw whatever you feel best shows off your character. Do at least a one full body sketches and some close up face sketches. If your character needs to be particularly big or particularly small you can sketch them next to what would be an average sized person to get a better idea of their size. Use the bare minimum details you need when drawing. Don’t make the designs complicated. You can always add more details later if you feel your character is too plain. Once you are done sketching pick the drawings you like best and combine them into one character design. To further develop your design draw your character from the front, both sides (unless they are exactly the same), and back views. You can also draw additional views if you need to. 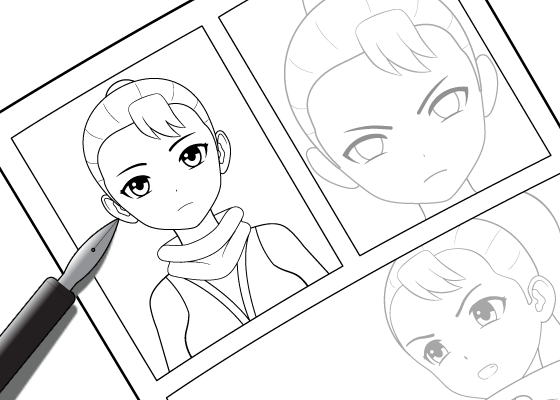 The reason to do these drawings is so that you will have an all around design of your character. 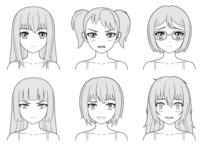 You can then use these pictures as reference material when drawing the same character in your manga or animation. To help you keep even proportions in different views you can draw guidelines from one body part in one view to the same body part in another view. 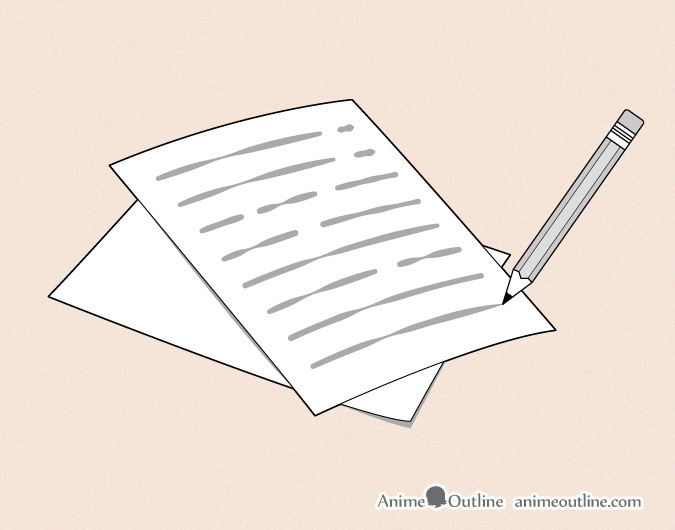 It’s important to note here that due to perspective (see: Perspective Drawing Tutorial for Beginners and How it Relates to Anime) certain parts of a character may not always be perfectly aligned to others in different views. You can see that in the above example if you look at the feet. Because we are looking down on the feet in the front view and because they are reaching more towards the viewer they extend slightly past the guideline. Manga are often black and white but color is still used in some places (cover for example). While you may have certain colors in mind for your character there is a very important aspect of coloring to be aware of. Certain colors go better together than others. These are usually complimentary colors or colors across from one another on the color wheel (black and white go with almost everything). 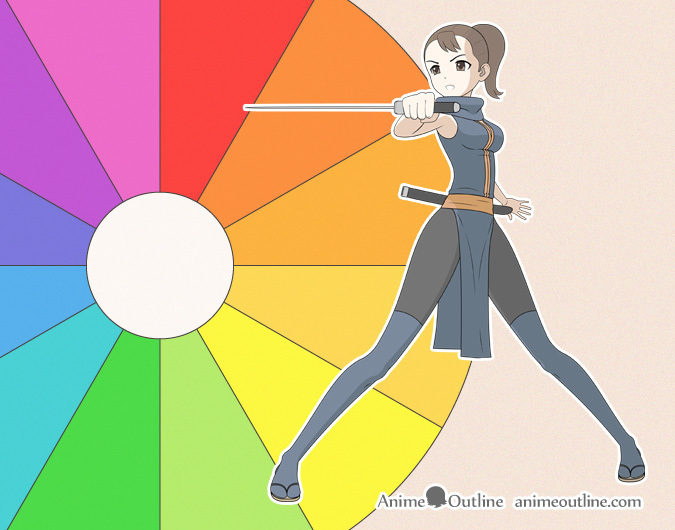 You can often see the use of complimentary colors if you look at the color schemes of popular anime characters. The colors don’t need to exactly match those on the color wheel they can be a variation of a given color. You should also pick colors that are appropriate for the type of character you are trying to create. Colors can give off certain moods. For example blue is considered a cool color while red is considered warm. So if lets say you want to design a fantasy character that uses ice magic you probably don’t want to use a lot of reds in their design. Design characters to matches the story. A lot of manga have fairly generic looking characters and are still very good. Have a balance between originality and what is appropriate for your story. For example if you are doing a “Slice of Life” manga you should probably have character designs that are down to earth. If you are doing a fantasy or sci-fi manga then you can create designs that are a little more unusual. Do not rip off characters from other artists. By this I mean copy the majority of the design while making insignificant changes. It’s fine to draw inspiration from the work of others but be sure to bring in enough of your own ideas. How do you tell when you’ve copied too much? One good sign is when people look at your drawings and says something along the lines of “Oh isn’t that so and so from this show?”. Especially when more than one person tells you that for the same character. Properly designing a manga or anime character can be a lot of work but it can also be a lot fun. If you think you have a good idea for a manga or an anime definitely give it a try. 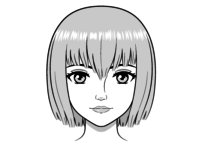 If you need help drawing in the anime or manga style then check out some other Tutorials on this site. You can find quite a bit of reference material.